Party up with your friends or play solo. 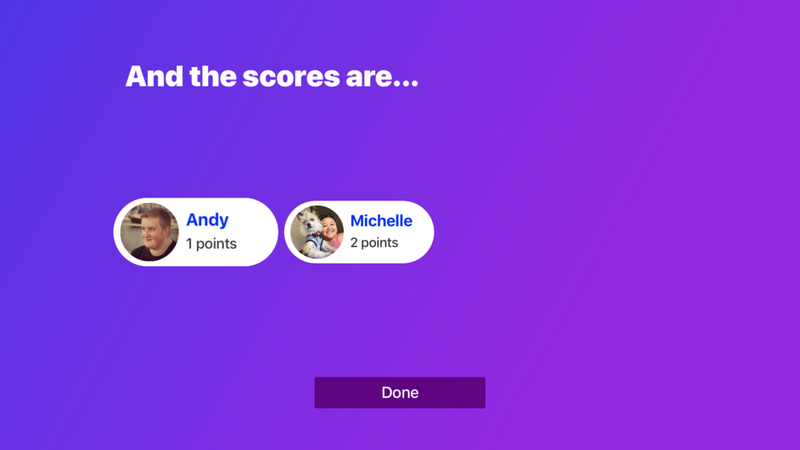 Test your knowledge from the comfort of your own couch and challenge friends and family in our brand new multiplayer mode! 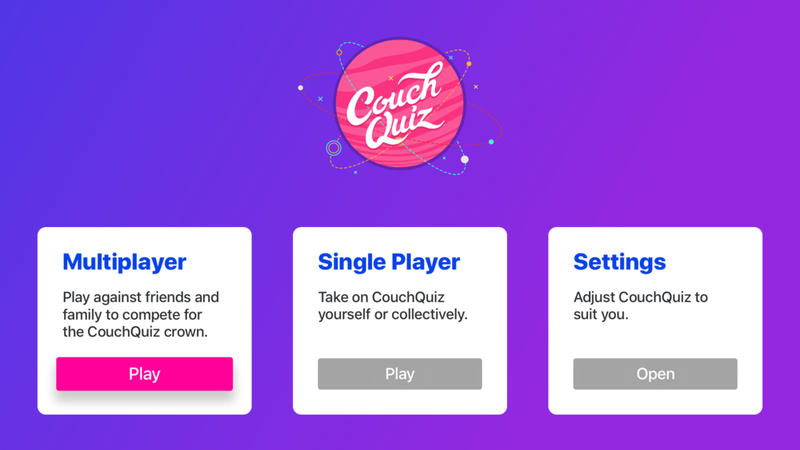 Gather 10 players+ and compete for the Couch Quiz crown using multiplayer. Check out the single player mode to improve your multiplayer game play or for those quiet nights in. Over 5000 questions available with more added each week! Topics include Disney Princesses, Harry Potter, Game of Thrones, Marvel, Pixar, Star Wars, Flags of the World and more general trivia with Arts & Literature, Film & TV, History & Geography, Spots & Leisure with loads more. Theres sure to be a topic right for your mood and party!